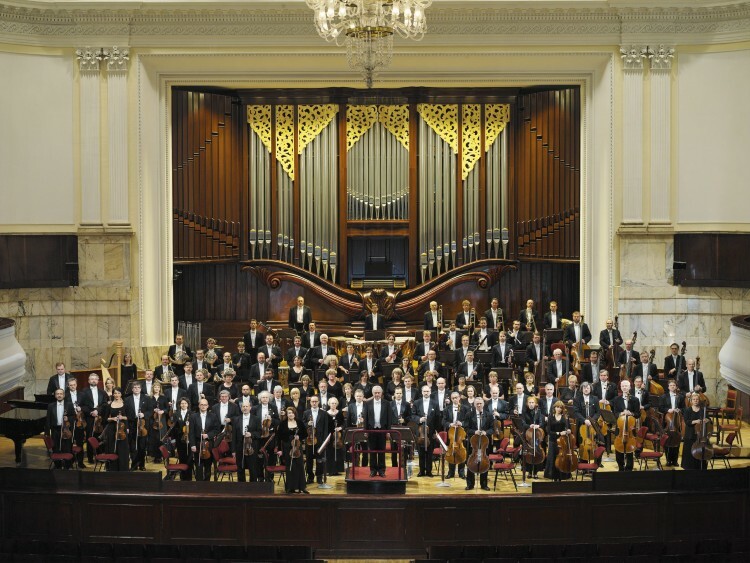 The first concert by the Warsaw Philharmonic took place on 5 November 1901 in a newly erected building. The orchestra was directed by the Philharmonic’s co-founder and first artistic director, Emil Młynarski. The soloist was Ignacy Jan Paderewski. The Philharmonic was a major music centre in Poland before World War I and in the interwar period, becoming one of the most important music institutions in Europe. Nearly every famous conductor and soloist of the time has performed on its stage. Immediately after World War II, concerts took place in theatres and sports halls. On 21 February 1955, a new building was erected in place of the orchestra’s previous seat, destroyed by German bombings. The building received the status of National Philharmonic. Under the direction of Witold Rowicki the ensemble has regained the status of the leading symphonic orchestra in Poland. In 1955-58 the position of artistic director was filled by Bohdan Wodiczko, who handed it over back to Rowicki. In 1977 the post was taken over by Kazimierz Kord. Currently, the general and artistic director of the orchestra is Antoni Wit, who has taken over the position in January 2002. Today, both the Orchestra and Chorus of the National Philharmonic enjoy worldwide recognition and popularity. Both ensembles have travelled on 130 concert tours on five continents, performing in the world’s major concert halls. They have played in many prestigious festivals in Vienna, Berlin, Prague, Bergen, Lucerne, Montreux, Moscow, Brussels, Florence, Bordeaux and Athens, in Spain, Portugal, Japan and France. They have also performed at the “La folle journée” festival. The National Philharmonic Orchestra regularly plays in the Chopin International Piano Competitions and in the “Warsaw Autumn” Festivals. It records for Polish Radio and Television, for Polish and foreign record labels, as well as music for films. The National Philharmonic Orchestra has received many awards for its achievements, including the Diapason d’Or, the Gramophone award, the Record Geijutsu award, Classical Internet Award, the Cann Classical Award and ICMA. It has been nominated for the Grammy awards for its recordings of sacred vocal works by Penderecki and Szymanowski and has received the Polish Fryderyk awards. The stage of the National Philharmonic has hosted performances by the greatest artists in the World.